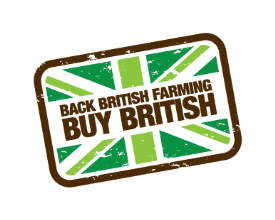 Anybody involved in British agriculture should have accepted by now that the days for direct payments based on land area are limited in number. Instead we will be embracing a system of ‘public payments for public goods’, whatever that means. Although Michael Gove has in recent weeks offered a trickle of potential policy changes and words of general direction, there has been very little in terms of meaty reality, which is perhaps understandable given the nature of the Brexit process and negotiations. However, this doesn’t help somebody running a farm business, which by its very nature works on long cycles and many decisions are having to be taken on the basis of a stab in the dark; a pin drawn in hope for the future. Of course, many farmers aren’t completely reliant on direct payments. Other income is usually made through agri-environmental payments, diversification enterprises and of course the profit made from food production. However, the percentage of reliance is significant, and for many it makes the difference that allows them to keep farming. In a recent issue of Farmers Weekly I was shocked to see a diagram showing the percentage of total farm income made up by direct payments across the regions. Where I am based, in the East of England the figure is 47%. Quite high you might think. But actually, compared to regions elsewhere it is on the low side. For example, south western and south eastern farmers are 67% and 78% respectively dependent on direct subsidy. In the north east of England the figure is an astounding 98%! Within a decade Defra will phase direct payments out completely. It might even happen within as little as five years. The quicker it happens, the greater the impact on farmers in terms of needing to adapt to reduced or differently purposed subsidy. Of course, unless the public or MPs demand otherwise, this money probably won’t leave agriculture. It will just be allocated differently. A system of payments for public goods could include increasing the payments currently allocated to agri-environment schemes, so that farmers are not only compensated for ‘income foregone’ as is usually the case currently, but actually have a financial incentive to improve the condition of habitats for farmland wildlife and increase the abundance of various species on their farmland. Additionally, it could involve paying farmers for higher animal welfare standards, public access, soil protection, flooding alleviation through natural flood management techniques or investing in technology to enhance productivity, and therefore food production, a public good in its own right. Whatever the system Defra needs to make sure it is simple to administer and doesn’t involve the enormous amount of paperwork that existing systems, such as the countryside stewardship application process, seem to attract. Simplicity needs to be at the heart of it, with an effective inspection system that works with farmers, and works on a common sense basis, not a tick box exercise. Ideally of course farmers would diversify their income sufficiently so they are not so reliant on any form of subsidy, but for some farmers this is much harder than others. Not everybody is lucky enough to have a large population on their doorstep that can be looked at to rent buildings to, provide equine livery services or sell high value food to directly. Tourism is increasingly competitive and takes up a lot of time if it is to be done well. There is also the argument that farmers are farmers because they want to produce food and they should be able to earn the majority of their income through sales of food product. Sadly this is not the case due to the increasing volatility of markets and competition between the supermarkets in this country which leads them to drive down the price of food; good for consumers perhaps but not so good for farmers trying to make a living. Farmers are a resilient bunch but I expect we will see immense change in the sector and the landscape in the next few decades as the innovators and those willing to embrace this new ‘public money for public goods’ system move forward. Anyone unwilling to change will, I suspect, end up left behind. With a new system, and it will very much depend on its constituent parts and the way it is implemented, there is an opportunity for the public to get much better value when it comes to subsidies paid out. If landscape is part of identity then the public gets a lot for their money already, but this changing face of subsidies could provide so much more. We just need to make sure we support our farmers through it, and understand the immense challenge they face in adapting to change. Ben Eagle is a regular contributor to Country Squire Magazine. He is an environmental and agricultural writer from Essex, blogs at thinkingcountry.com and you can find him on twitter or Instagram @benjy_eagle. Next Next post: Too Modern To Handle?